Nothing beats a snow cone on a hot summer day. 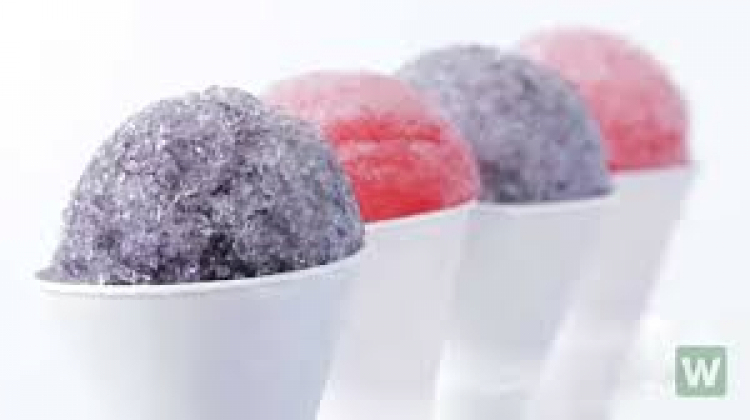 Snow cone machines are perfect for family reunions, office parties, school fairs, graduation parties, and any event in need of a cool refreshment. 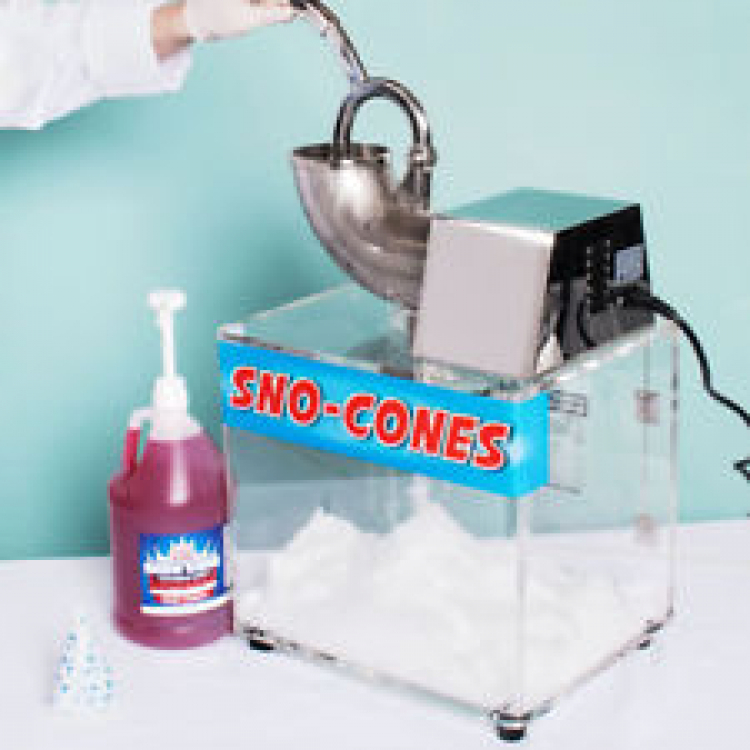 Especially great for kids birthday parties, our snow cone machine rentals will have the little ones lining up for their very own sweet taste of summer. Of course, adults will be lining up to get their fix, too. Snow cones are an an alluring summer party attraction that is sure to make tongues blue and hearts warm. A plastic bin catches the ice from the snow cone machine and we also include 50 paper cone cups, strawberry, and blue raspberry syrup. We supply enough servings for 50 people. You must supply your own ice. • Snow Cone Cups for 50 servings provided. If you need more than 50 servings we can add additional supplies of 50 or more. • The two syrup flavors included are Strawberry and Blue Raspberry. • Requires Four 10 lbs bags of ice for each set of 50 servings.